We had snow before, and there will be more, but we have no snow today. It fell in the night, silent and white, and then it melted away. 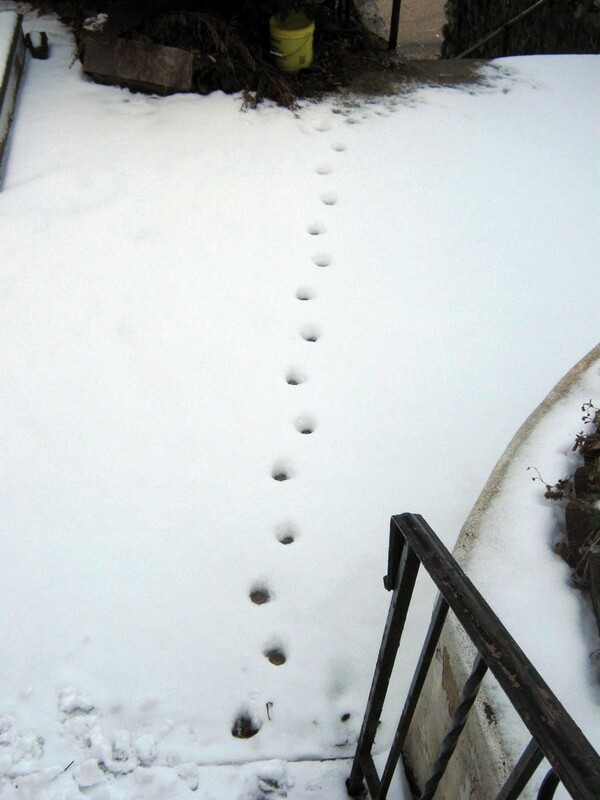 While it lay on the ground, the cat made his rounds, leaving a steady trail. Then he came inside, licked himself dry, and covered his nose with his tail. NextFirst snowdrop to say, Hi!